Over the past thirty years, Gene Kadish has represented numerous individuals and businesses covering a wide range of Business and Real Estate matters. His business clients include restaurateurs, real estate investor/developers, landlords, tenants, real estate brokers, property managers, and convenience store owners. He has helped organize and form dozens of business startups, including LLC's, corporations and limited partnerships. 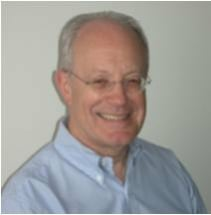 Mindful of saving time and money for his clients, Mr. Kadish promotes resolving disputes through negotiated settlements instead of litigation. In addition to serving his business clients, Mr. Kadish has extensive experience negotiating, documenting, and closing real estate transactions. This includes preparing purchase and sale agreements, leases, deeds, promissory notes, financing instruments, and other documents dealing with real estate matters, both simple and complex. Mr. Kadish is often called upon to counsel with fellow lawyers, escrow officers, and other real estate professionals concerning complicated real estate transactions. Committed to community service, Mr. Kadish currently serves as a member of the Board of Directors of the non-profit Arizona Center for Law in the Public Interest, a public interest law firm, and Board Chairman of the Arizona Centennial Theatre Foundation. He has served on numerous non-profit and for profit boards including Tempe Chapter of the Salvation Army, Mill Avenue Merchants Association, Tempe Arts Center, and New Times, Inc., as well as numerous governmental and quasi-governmental boards and commissions. Mr. Kadish is committed to providing honest and straightforward advice, legal as well as practical, concerning all types of business and real estate matters.